The good news is that your manager has approved your goals for 2012. The scary news is that you listed one of your goals as, “Launch our first mobile learning app.” Your boss reminded you that budgets are tight and you can expect some pushback from IT but that she is excited to see your ideas. The green light is what you were waiting for! So why are you feeling so… overwhelmed? 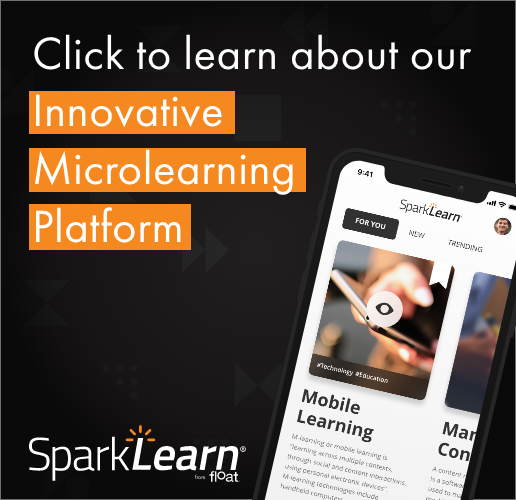 As you begin to delve into all of the requirements in a mobile learning initiative, it’s easy to be overcome with the many options and variables. It’s true that there are a lot of things to consider, but there are alternatives you can choose to make your first mLearning implementation a success. One of the best ideas is to “get small.” Your thinking might not be readily accepted at first but as you explain it to your stakeholders, they will see the wisdom of your ways. Even that first Volkswagen made everyone chuckle a little or scoff at the small vehicle when most vehicles were big and clunky, but before long the Bug was a success. Recently, I wrote a post for the Training 2012 Conference & Expo blog that shared some thoughts about how to think small. By adopting a small strategy, you can have some big results. It can even help with the pushback from IT that was forecast by your boss. Take a jump over to the post and read more about getting small with your mobile learning. The Training 2012 Conference is hosted by Training Magazine and takes place February 13-15 in Atlanta. If you are going to attend, I would love to see you at my breakout session, “Ten Questions You Need to Ask Before You Adopt Mobile Learning,” Session MLE01, that will be held Tuesday, Feb. 14, at 8 a.m. If you have tried a “small strategy” in your mobile learning implementation, share your experiences, both good and bad, in the comments.